So you’re looking to see what makes up us MARPS are you? Well…let’s see, you already know my name, and I suspect you’ve seen the rather worrying photograph which was taken after very little sleep, as it was deadline day for one of the projects! (not last minute….just thorough!!!) What is there to tell about me?? I was brought unto the world in Newport, Wales, and then quickly moved around between Stoke on Trent and Saudi Arabia (bit of a contrast…tell me about it!). Moved to down to sunny Devon (where the palm trees are), and remained there until I decided a Fine Art Degree at Nottingham Trent University was the way forward. Upon completion, I held various jobs, from Customer Service call centre’s, to magazines and newspapers. It was whilst working in the imaging department of the newspaper, I decided there was simply too much of the world that I hadn’t yet seen, and so armed with a backpack and an open mind, I embarked upon what was to be a 2 ½ year period of travel, work and learning throughout South East Asia and Australia. I learnt the art of Thai massage in the north of Thailand, met some of the most amazing and inspiring people throughout my travels, and was sponsored to stay living and working in an outback roadhouse on the border of South and West Australia. I had the most amazing and memorable time, and will always be glad I faced my fears and went with it anyway. 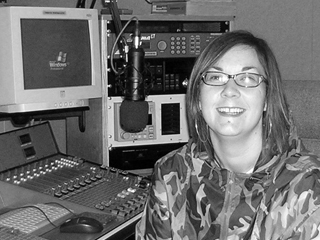 Since I returned to live and work in the UK, I have dabbled with television work, and web based projects, but things changed when I discovered Hospital Radio and all it stands for. It is the reason I returned, this time as a mature student to study the medium of radio, whilst presenting on local commercial radio at weekends. 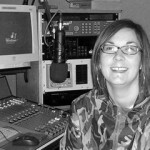 You could say radio has become my life….but that’s no bad thing now is it!